Vicki Haspels is a truly beautiful Soul. Not only does she offer Tarot readings, past life regressions, Reiki and workshops in Brisbane, she has a background in social work that makes her the full package! While working at Centrelink, she ran meditations at lunch, while helping people find direction during their darkest times. It’s this practical kindness that I adore in her. As a 24/6 lifepath in numerology, aka The Lover or Visionary (find your lifepath), Vicki has incarnated to heal her 6th Chakra, or Third Eye. This is the seat of our intuition, inner and outer vision, and gives Vicki the life purpose of opening minds to love. John Lennon was a 24/6 lifepath too. If you listen to his song Imagine, it sums up what compassion is all about – being able to hold a higher vision of humanity. while having the courage to stand up for your rights. As they say, no one rises to low expectations. It takes a special person to choose to see the good in a world full of contradictions. The number 6 looks like a pregnant woman, or person with a full belly and it’s all about comfort. People with 6 numerology are natural parent figures, whom you immediately trust. As I say ‘when you need a long-term fix, ask a six’ – these Souls are full of wisdom. True story – when I was starting my full-time psychic business in 2011, I contacted dozens of palmreaders and psychics in Australia and overseas. Most people were too busy to help me, but Vicki was different. She spent 40 minutes coaching me on being a reader, and marketing opportunities like LivingSocial (I’d been approached by them, but said no due to a dodgy salesman who told me to sell fake crystals!) At the time, I was impressed that Vicki would help one of her competitors and a complete stranger. Imagine my delight in 2015, when I finally met Vicki at Toni Reilly’s past life regression course (read more). It felt like we were old friends, and since then i have recommended dozens, if not hundreds of people to her. In fact she was my backup after I gave birth to Forrest, which shows you how much I value her integrity. I referred all my clients to her while I was on leave. So, if you’re looking for a boost, here’s what Vicki offers in Brisbane. When Vicki reads for me she makes me laugh – in our last phone session, she described what I was wearing and said I’d spend 2016 on the couch (which came true, as I was nursing Forrest). She also described my son Charlie before he was born in 2017, including the doctor who would see him in the labour ward. Why am I promoting another psychic? Because I’m always booked in advance, plus not everyone is into numerology and palmistry. Sometimes a Tarot reading is easier to digest as it’s so visual. I’d rather have you see a great psychic like Vicki, than refer you to someone I haven’t tested. I am a scientist, after all. Plus, it’s good to have a group of people you trust, rather than putting all your eggs in one basket. As you may know, I’m a sceptic, who writes about how to avoid crazy and fraudulent psychics. I believe there’s a massive difference between psychic ability (which can be taught, e.g. in numerology courses vs spiritual maturity (your true character and how you deliver the information). Vicki also does healing, which can help you move you from grief and confusion back to peace. I have such big improvements each time Vicki works on me, I often get jumpy before I see her because my ego knows there’s going to be a shift! Getting nervous before a session is a good sign – it means the healer or psychic holds a high vibration and won’t waste your time. I always have stuff come up before a treatment, e.g. the sniffles, arguments with loved ones, weird dreams. All normal! 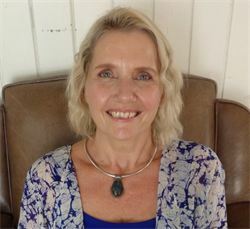 Vicki also runs workshops and does medical intuitive work and Reiki. -She has over 20 years’ experience as a psychic reader and healer. -She has a special gift for helping troubled families, people going through breakups, and sensitive teenagers. Her daughter is a Master 11 lifepath Spiritual Messenger like me. -She’s helped me overcome decades of pain regarding my childhood. In her Reiki 1 workshop yesterday, I released a painful family issue I’ve had for 20 years – in just half an hour. She knows how to hold space, and is one of the least judgemental people I’ve ever met. -She’s trained Kris and I as healers, and is a brilliant teacher – you can ask her anything and she knows what to say. -She has a wonderful sense of humour and joyful heart. -Her voice is so soothing, you may accidentally go to sleep during her meditation classes and treatments (I do). To me, Vicki is an Angel in human form and I treasure her insights. I hope you’ll contact her for a session soon, you’ll be so glad you did! Please note, this is not a paid ad*, however I do receive credit if you have a reading with Vicki. So please mention me when booking, as it keeps the love flowing. *Although I’m often asked to promote other psychics for money, I say no to 99% of offers, and only include people I trust on this blog. That’s my promise to you. Or, for greater clarity, book a reading with me to discover your soul contract and forecast. it’s worth the suspense – see feedback. For a reading sooner, book a Tarot reading in Brisbane with my husband Kris on 0428 626 727. I also recommend Vicki Haspels (above) and Caroline Byrd, my spiritual mentors and gifted mediums.